Mosbaugh's Catalog, Sec. 9A, U.S. Easter Seals, 1934-2009, Rev. 2009, CD. This is the newly revised edition of the Mosbaugh's Classic. 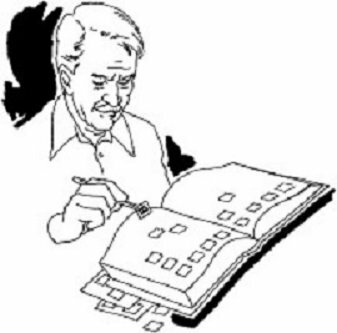 Mosbaugh's Catalog, Sec. 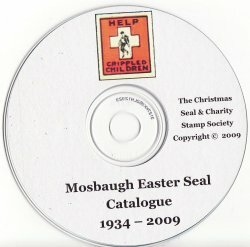 9A, U.S. Easter Seals, 1934-2009, Rev. 2009, CD. Published by the Christmas Seal and Charity Stamp Society (CS&CSS). This is the newly revised edition of the Mosbaugh's Classic. This Catalog includes detailed listings for Bookmarkers, Stickers, FDC's, Milk caps and collars, Pinback buttons, Transit passes, Posters and much more. Published by the Christmas Seal and Charity Stamp Society (CS&CSS). Catalogs are in pdf format, all images are full color, 199 pages, 2009 ed. Requirements: MS Word 2003 or higher and inkjet printer.